This is what I will usually sport when I'm outside for short periods of time. It's been hot over here so of course, when it's hot what better way than to wear a pair of shorts, and a tank top. And a Brandy Melville cardigan. Here's another pair of shorts that I'm really loving right now. Great outfit! 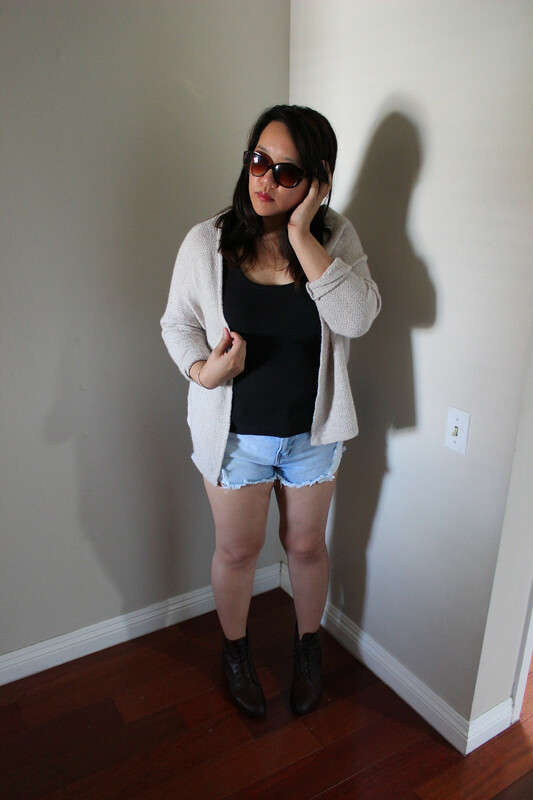 I love BRandy Melville cardigans!